If there’re any errors then these will be written to Event Viewer – please check if you’re having issues. Comments, questions and concerns? Please leave them below! Great article. Nicely done. Thank you. Thank you. Simple and to the point. Worked on my win 2008 R2 PDC! After x other articels this was the one ! Looks like the simplest clearest most to the point double bullseye article on the subject to me. Thanks very much for the ever so kind comments guys. I’m glad my article is helping you get the time sync sorted – must admit it was a rather quick write up! 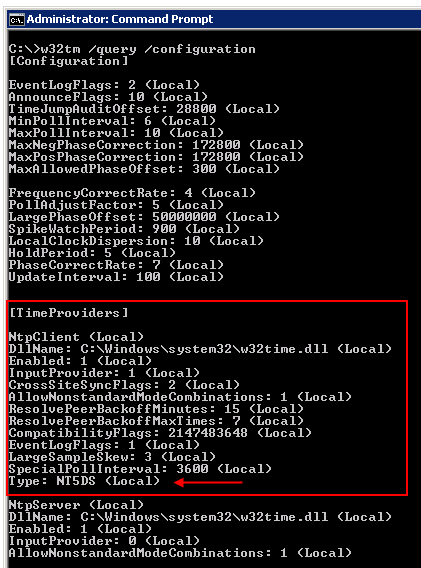 show me only VMICTimeProvider in [TimeProviders] section. And I can’t add NTP Client. PS I can’t restart servers. Brilliant step by step article. @Igor, did you get your answer, I am having the same issue with my VMs. Hi I have set the above command on my PDC and its working but at what time difference the PDC sync its time with time server provided. Sorry I mean to say that at what time interval the PDC communicate with time server and get update of time. I have changed the time of PDC but it is not getting sync automatically. Do I need to run the resync command everytime to get PDC sync with time server. Pls let me know. You shouldn’t need to to re-sync manually to get the time updated – servers and workstations will sync to PDC automatically on set interval. This includes PDC which will sync to external time source. Rebooting your server/workstation triggers time to sync as well. One thing to note is if your servers are virtual machines you should not be using VMware Tools or Hyper-V Integration Services to sync time to the host – this is extremely bad practice as time on the host will be taken from the BIOS. This will be out of sync nine times out of ten.. This should be “pool.ntp.org” instead of “ntp.pool.org “, other than that everything are precise & useful. TOP! Thank You. It works. Thank you for the clear & concise steps & follow up. Ah Micro$oft. What can be said for a software firm that implements time updates and GUI well in their clients, where it’s important, and F’s is up in it’s server products, where it’s critical. I think Microsoft made the time service really more complicated that it should be. 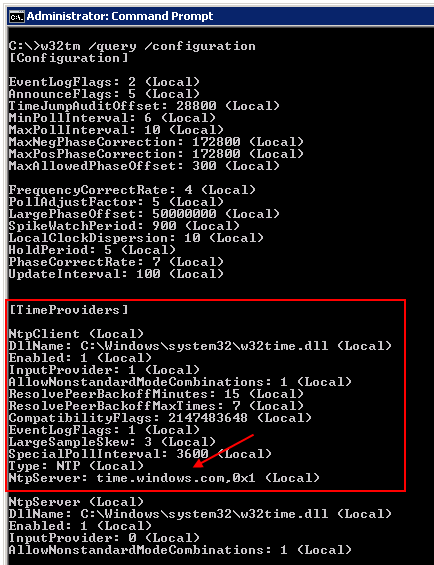 I really appreciated if someone can tell me in plain English where is the setting for time sync interval between the Windows forest time keeper and an external NTP time source.